Maggie Phillips, Ph.D. and Claire Frederick, M.D. Healing the Divided Self, written by Maggie Phillips, Ph.D., & Claire Frederick, M.D., is one of the first step-by-step guides to the comprehensive treatment of the entire spectrum of psychological difficulties related to dissociative and post-traumatic conditions. 4. Integrating the personality for a new sense of identity and wholeness. Many clients seek clinical help with flashbacks, lapses of memory that clearly suggest trauma or dissociative disorders. Many other symptoms such as eating disorders, depression, anxiety, panic, and obsessive compulsive difficulties, however, may have links to problems that have traumatic dissociation at their base. This book is written primarily to present balanced ways that clinical and Ericksonian hypnosis can be used to help with ego-building, uncovering links to childhood and later-life traumatic events, and the reworking of painful stored experiences using internal resources. Yet its suggestions, illustrations, and guidelines will be useful to therapists from all orientations and to the individuals that seek their help. What is the Divided Self? Rich in examples and vignettes from clinical practice, Healing the Divided Self is a helpful guidebook to all in the helping profession who work with clients who have abuse and trauma in their backgrounds. To read excerpts from Healing the Divided Self, click here. To order the book from Amazon.com for $32.40, click here. For information on Maggie Phillips, click here. For information on Claire Frederick, click here. "[The authors] have a sound method, an impressive rigor, and a clear commitment to communication...One is left with a deeper compassion, a greater hope, and expanded understanding of how to help clients struggling with dissociative processes. 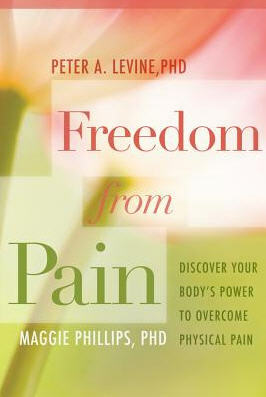 It is hard to imagine a book more helpful than this for therapists working with such clients." "Healing the Divided Self is a flexible, state-of-the-art protocol for working with a range of dissociative disorders. Drawing from diverse sources, Phillips and Frederick synthesize existing methods and provide novel approaches as well." "Drs. Phillips and Frederick are seasoned psychotherapists and educators. Here they communicate their vast clinical knowledge and experiences against a strong ethical and theoretical ethical and theoretical backdrop..."
"This is a highly useful book for therapists already using hypnosis to treat dissociative conditions, as well as for those therapists seeking to learn effective new intervention tools for this clinical population." "The conceptual integration is unique and innovative; the clinical work described is creative. Both seasoned and new psychotherapists will find much here to inspire their work and professional development." "The strength of [this] book lies in its practical considerations of serious clinical issues.... your final chapter on spiritual concerns...an unexpected treat." "Healing the Divided Self brings together the fields of Ego-State Therapy and the utilization of hypnotic communication and interventions with separate ego states present in post-traumatic and dissociative conditions. The theoretical positions are well researched and presented...Healing the Divided Self may help to unify our divided view of trauma and dissociative symptoms and the modalities used to treat clients who suffer from them." "Phillips and Frederick are systematic clinical pragmatists, borrowing freely from psychodynamic and hypnoanalytic approaches....Their most compelling clinical examples relate to the treatment of severely traumatized and dissociated patients. The authors describe the clinical and legal complexities surrounding the issues of hypnosis, memory, and the recall of trauma....Their examples illustrate the spiraling, recursive processes that characterize clinical work and demonstrate the centrality of the therapeutic relationship on which all else depends....Although the authors have written this book primarily for beginning and experienced clinicians who wish to increase their knowledge of and practical experience with hypnotherapeutic techniques in the treatment of patients with a variety of dissociative disorders, clinicians who work with such patients from other theoretical or clinical vantage points will be interested in the areas of convergence and divergence and will find this volume informative and useful." "Although this book was written by and for Ericksonian hypnotherapists, it is a most useful book for anyone treating people with post-traumatic and dissociative conditions....This is a most excellent book that I, as a clinician who does not use hypnotic techniques, highly recommend. It is full of practical and wise information for dealing with difficult clinical issues." "Mental health professionals, particularly those who are working with survivors of physical or sexual abuse, will find this book extremely useful, not only in helping them to develop a treatment plan for the client, but also in aiding the therapist avoid the pitfalls of false-memory syndrome." "Healing the Divided Self presents an inspiring and reflective picture of the authors' clinical experience, focusing on both theory and technique with this difficult population. It is a bright patch of color in the variegated tapestry of books on the subject." "I loved your book. For the first time, it gave me hope that maybe I could find someone who could help me with my problems. I've been to lots of therapists and none of them really knew what to do to work with me..."
"I just finished reading your book and I'm writing to tell you how much it helped me. The examples helped me understand how therapy is supposed to work. It gave me faith to hang in there and trust my therapist a little more. Thanks so much for writing this--it's easy to follow, even for someone like me who doesn't know much about psychology." "I just had to tell you how helpful your book has been to me. The chapter on spirituality really let me know that you are coming from the right place on healing from an abusive childhood. The other parts were great too, especially the information about ego-state therapy. I have felt fragmented for so long and now I understand why and what can be done to help me become more whole again. Thank you! Thank you!"